Seacoast Express United serves the Concord, NH region, providing a player orientated development pathway for our athletes on and off the field. SEU offers Premier/Select soccer club teams to players within the Concord region looking to elevate their game. For beginners, SEU offers a Town/Travel program to learn the basics through training and recreational games. 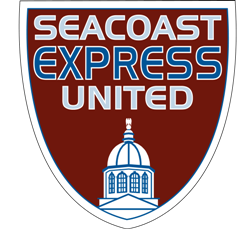 To learn more about competitive and town travel programs offered by Seacoast Express United, please contact Darrell Betley at dbetley@seacoastunited.com.